We are going to a Traditional Chinese Medicine (TCM) hospital to seek acupuncture treatment for Karen’s broken shoulder bone. 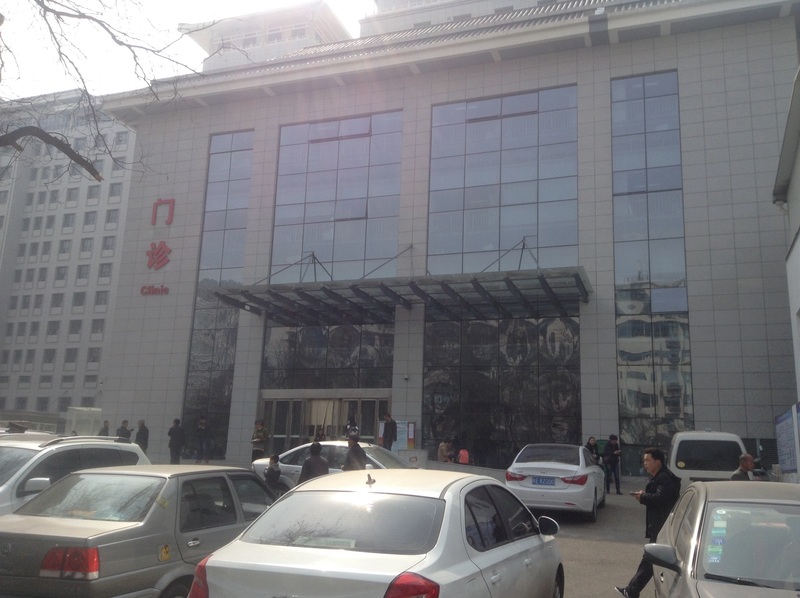 We look online and get the name of a nearby traditional medicine hospital. We go to an expensive international hotel, where a reception desk lady speaks English. She says the traditional hospital has moved and she gives us the name of another hospital, writing it out in Chinese. Another lady, a guest at the hotel, says that going there is a good idea. 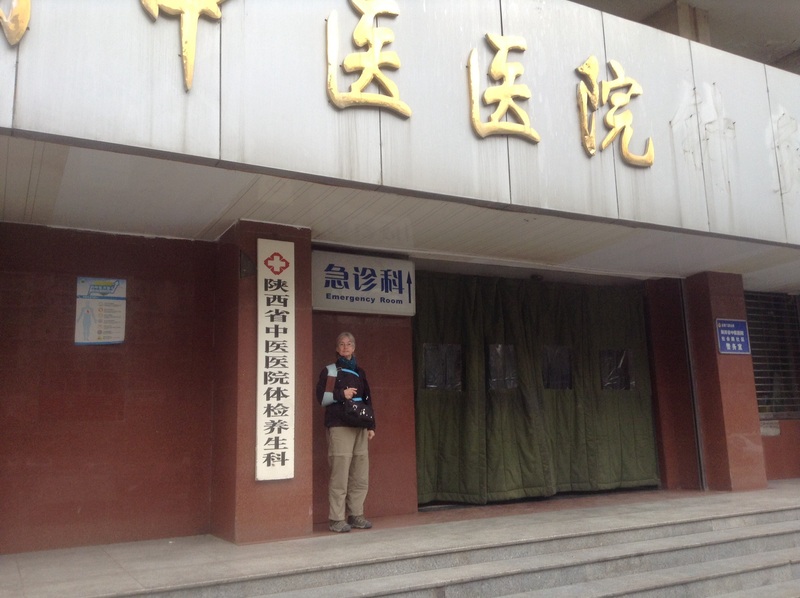 We take a taxi to the Shaanxi Province Hospital of Traditional Chinese Medicine (Emergency Room entrance). They send us next door to the out-patient clinic. 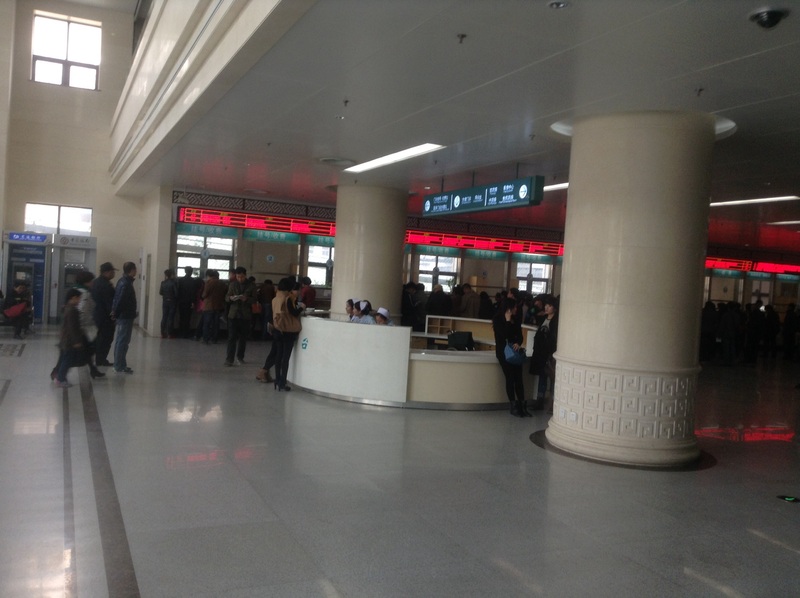 The nurse directs us to “orthopedics” — we have not registered or “checked in” in any way — but this may be because of our poor Chinese language skills.